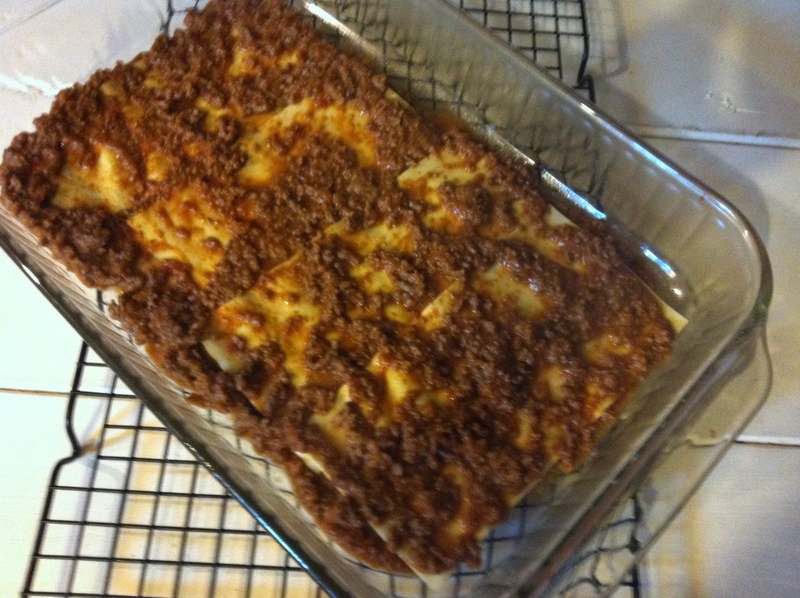 I share with you my recipe for lasagna – it may seem foreign to what you have always been used to, but I assure you, this version will surprise you and have your guests singing, “that’s amore.” As far as lasagnas go, it is the most authentic style to Italy’s preparation. Italians (at least the majority of the boot) do not use ricotta. Ricotta is used by some regions, like Sicily, and was introduced to the United States by the influx of immigrants in the early 1900’s. I like sticking to this recipe…each bite is an instant trip back to my home away from home. 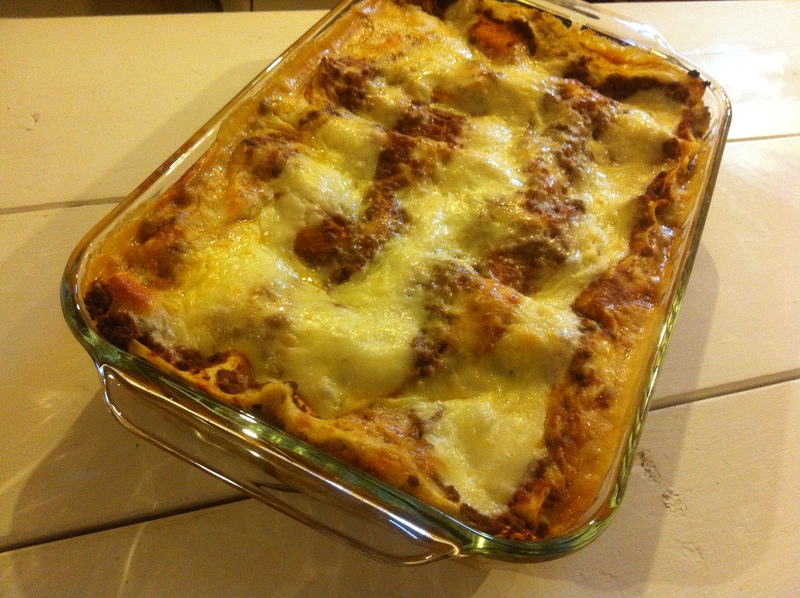 There are four key components to this lasagna – flat lasagna sheets, béchamel, Bolognese, and cheese (not ricotta). The first thing you want to do is prepare a hearty meat sauce. A traditional Bolognese works great, but for simplicity’s sake, here’s a quick recipe: Click here for my quick Bolognese Recipe. The second prep is your béchamel. It requires your full attention, so work on it while your sauce simmers. Click here for my Béchamel Recipe. The third step is deciding whether to use fresh mozzarella, shredded, or a combination of both. I like both, along with generous sprinklings of parmesan. 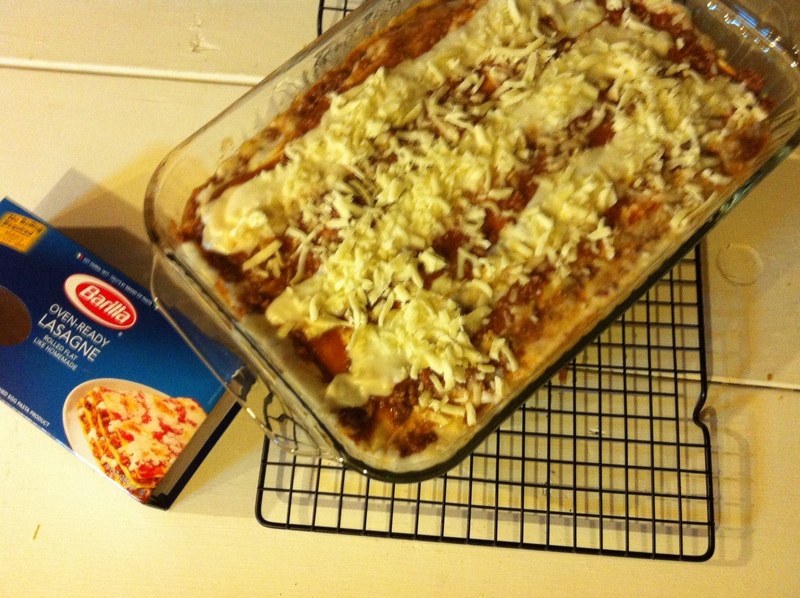 For one lasagna, you’ll need about 3-4 cups shredded mozzarella, about 6 oz. thinly sliced fresh mozzarella (optional), and about 1/4 cup grated parmesan. 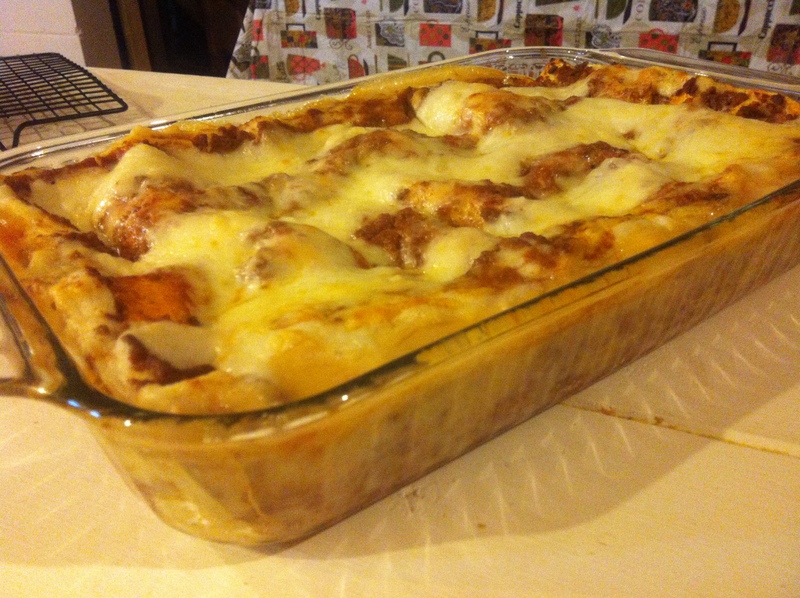 Spoon several hearty scoops of sauce on the bottom of a 9″x13″ (or similar) glass baking dish. 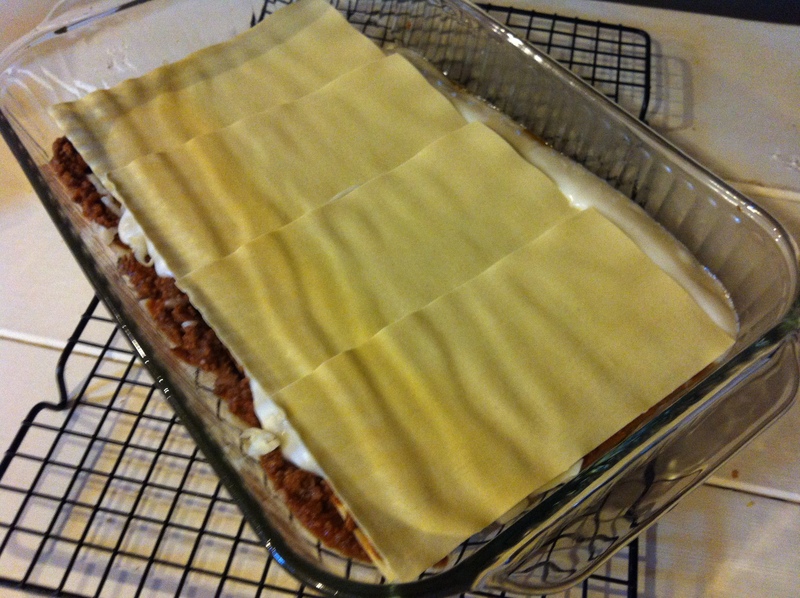 Place one layer of non-cooked flat lasagna sheets (I suggest and prefer Barilla). 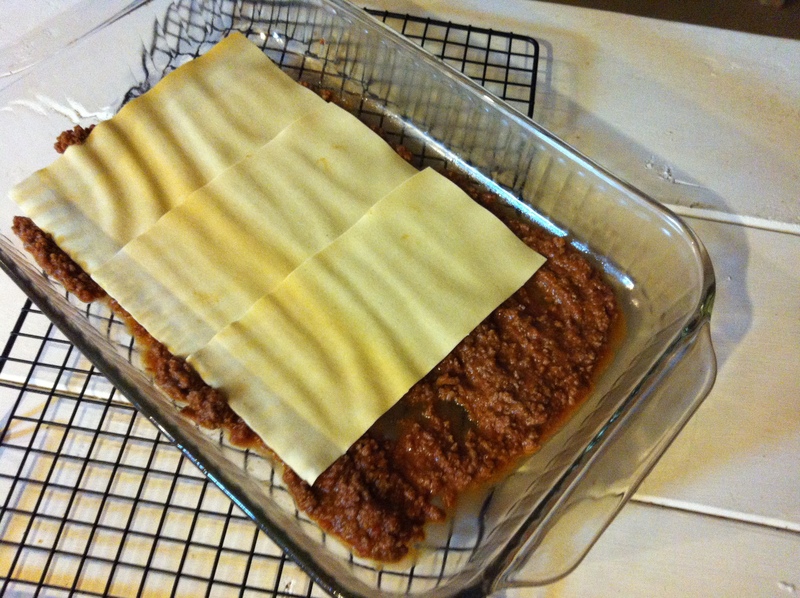 Cover this layer with more sauce, several scoops, and spread evenly to coat the pasta sheets. Sprinkle a few handfuls of shredded mozzarella, and you can also add thin slices of fresh mozzarella for this ‘cheese’ layer. Spoon three long, hearty rows of béchamel sauce (and as an option, you can sprinkle grated parmesan over this layer). Now repeat this same order of layers until you run out of ingredients or your layers have reached near the top of the baking dish. 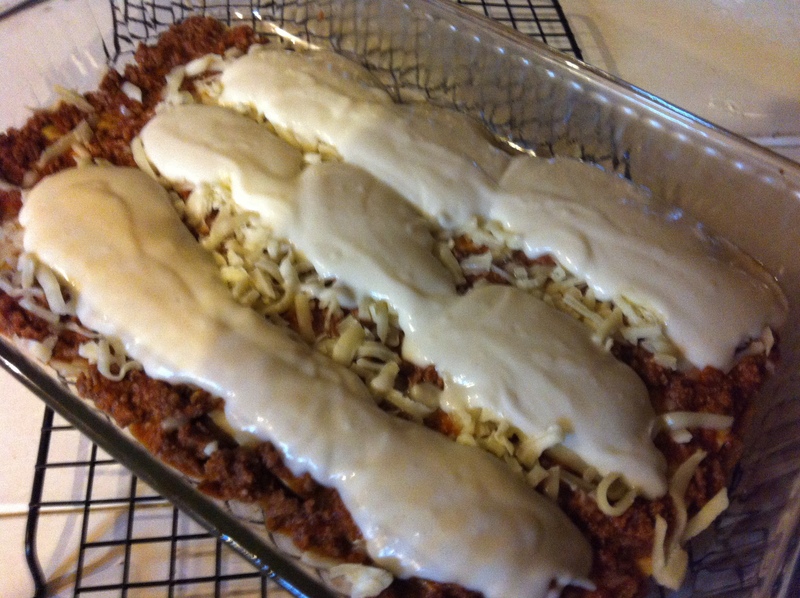 Your last layer should be either a sprinkling of mozzarella over sauce or with the addition of several rows of béchamel. Depending on ingredients left. 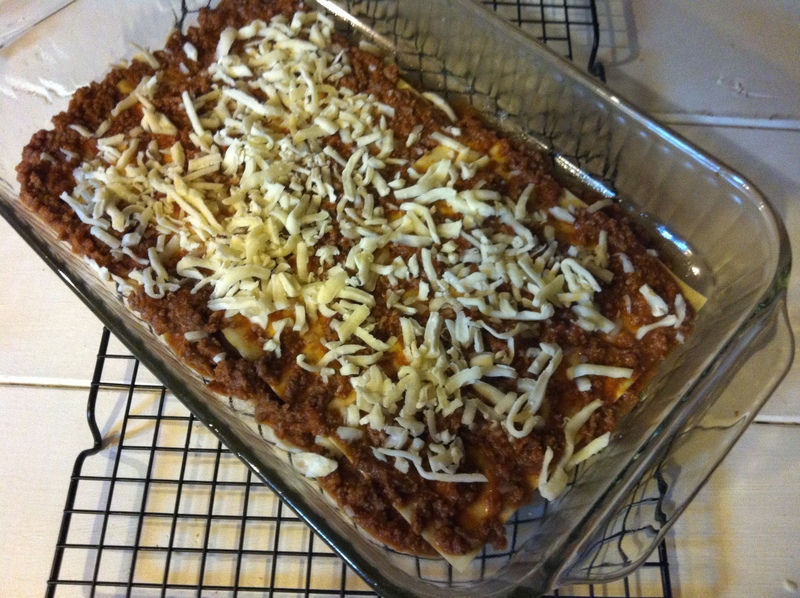 Bake at 350 F for about 35 to 40 minutes or until the cheese is bubbly and slightly browned. Allow to cool for about 10 minutes and serve it up! Buon Apetito! Looks yummy Carlo, going to try it over the weekend. Busy this week doing tomatoes, it is a September thing. sending our love to you and the family! Thanks so much, Marlene. It’s perfect for this awesome fall weather we’ve been having! I hope you like it! Please give my best to the gang!